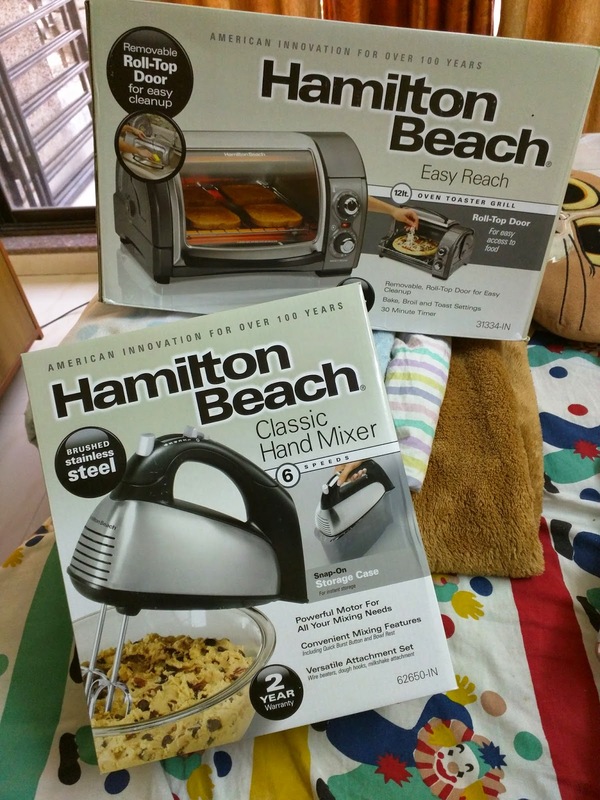 So Hamilton Beach, a well known American appliances company sent me a roll top OTG (Oven, Toaster, Griller) and a Classic hand mixer because I am a 'sweet toothed baker'. The term does 100% justice to me because I love to bake, cakes especially, and I love to eat them as much! The mixer resting on it's snap on cover. 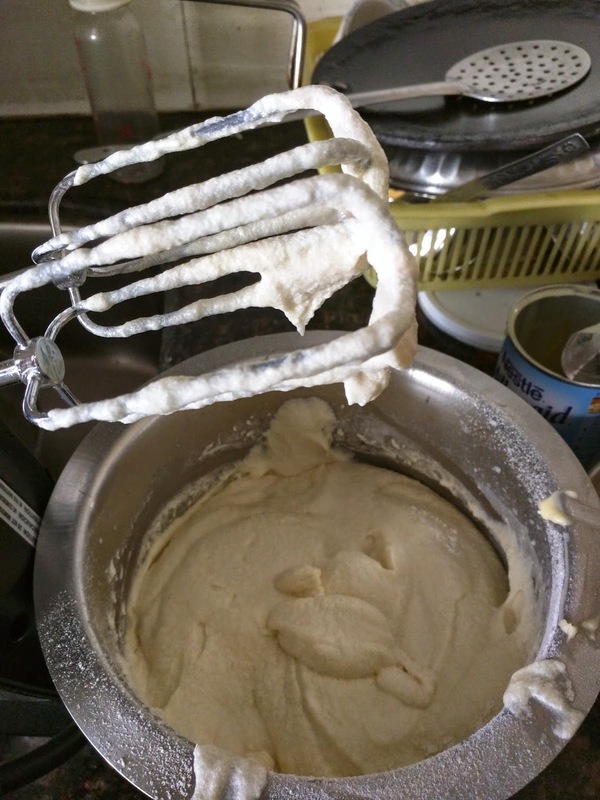 The mixer has beat the cake batter to make it fluffy and creamy! The roll-top easy access dome shape is just too good. 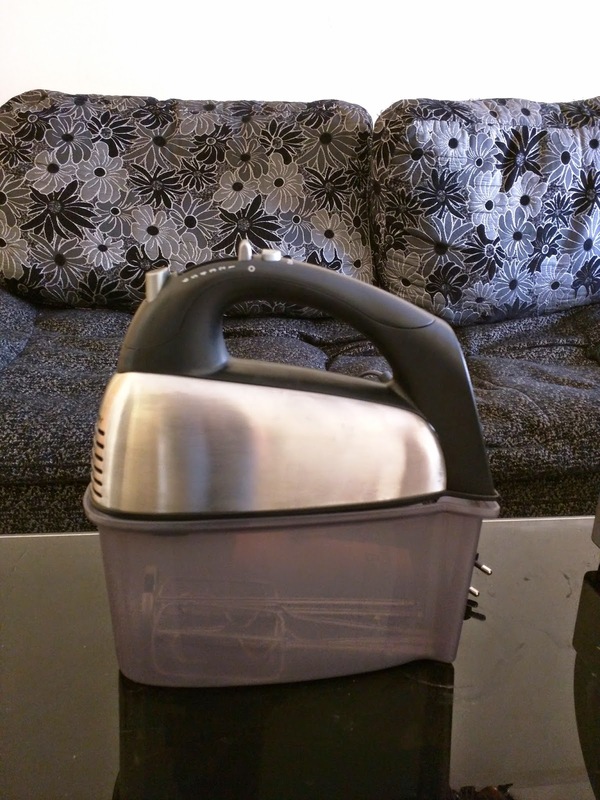 It saves space, looks good in the kitchen and is easy to use with the basic timer and temperature functions so that even a newbie can use it without any hassle. 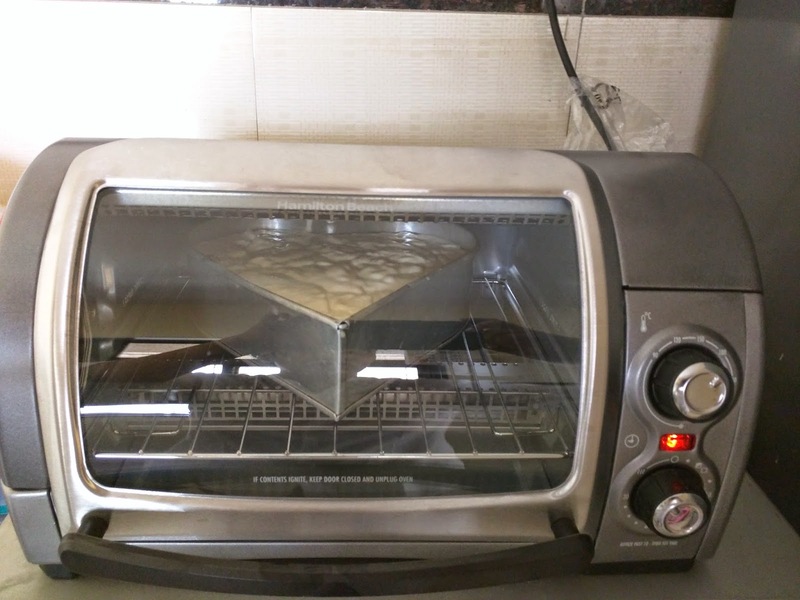 Though it is a perfect appliance when it comes to making toasts, pizzas and even cookies; it is not the best choice for baking cakes or bake dishes. Because most standard sized molds will not fit in. The heart shape mold I used to bake the cake just fit in, but was pretty close to the upper hot rod and hence was not a good idea. Maybe loafs will be doable too, but definitely not cakes. 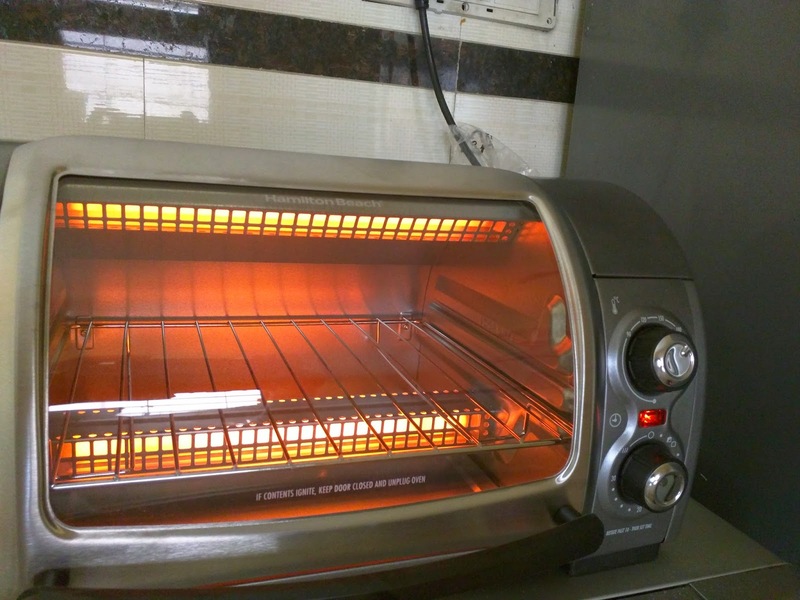 Also, there is a warning sign that states: If contents ignite, keep door closed and unplug oven. That is pretty scary, almost as of this happens a lot of times? Also, the timer is only for a maximum of 30 minutes, the recipe I had needed 45 minutes of baking, so I had to put it for 15 more minutes once it finished the 30. I love the "ting" sound it makes when time's up! Good ol' fashion! I'm going to continue using my old convention to bake cakes, but for toasts, pizzas and open faced sandwiches, this is my new love! The 6 speeds plus burst mode are simply awesome! The hand mixer is sturdy and powerful. I wish the chord was a little longer though. Also, the snap on cover does not seem to "snap" really, or maybe I am not doing it properly. But for a baker like me, it is a must have! Hamilton Beach is here in India with a whole lot of home appliances! And their website also has recipes according to the product, how cool is that! I was a little nervous about this 2 slice toasters r at first. I was a little afraid it wouldn't be big enough. It was the ONLY toaster I read about on line however that had NO negative reviews so I finally just bit the bullet and ordered it and I love it! Once you get used to the way this one cooks, its perfect!